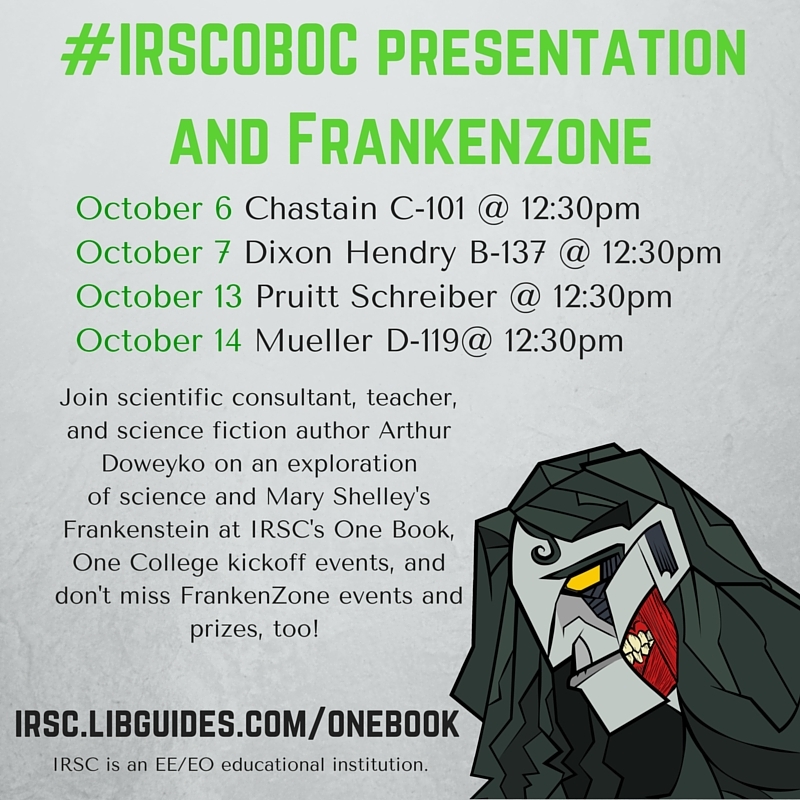 From Book to Film: See the Original Frankenstein at IRSC! Want to interact with Frankenstein from anywhere? Attend our virtual session! 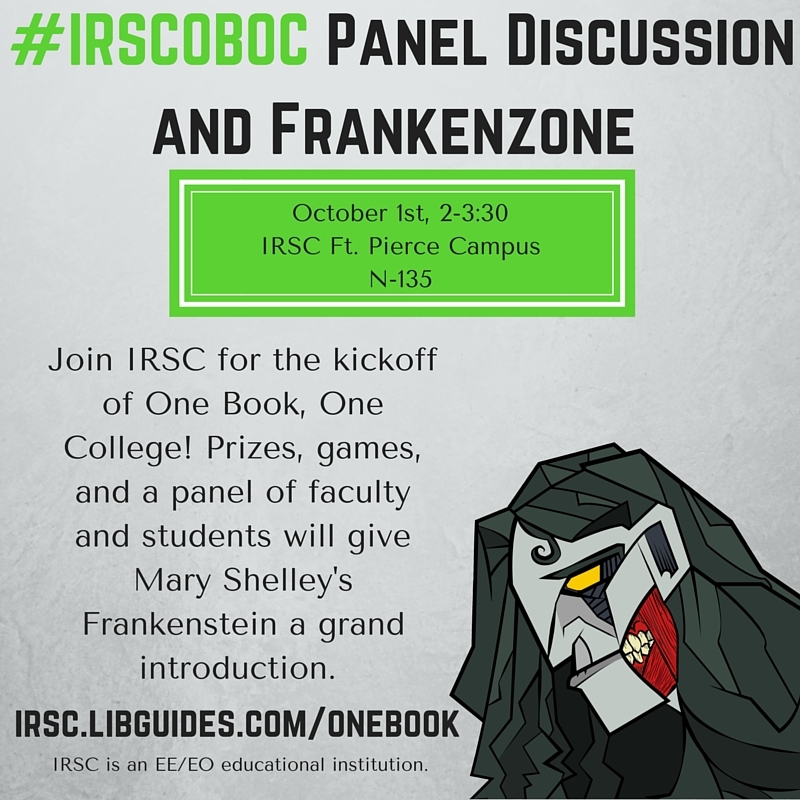 We'll be discussing Mary Shelley's Frankenstein, her influences, and your reactions to the work in a BlackBoard Collaborate session on Wednesday October 21, at 3 p.m.
All you need to ask questions is a keyboard! Need an overview of the novel? 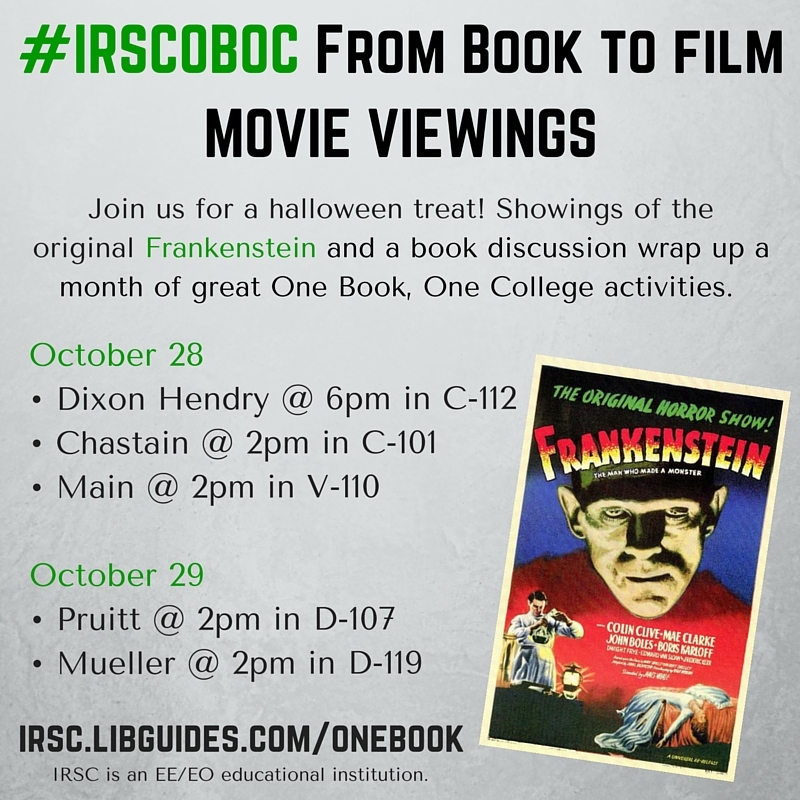 Want to view one of the Library's #IRSCOBOC presentations? Check out the guides below! 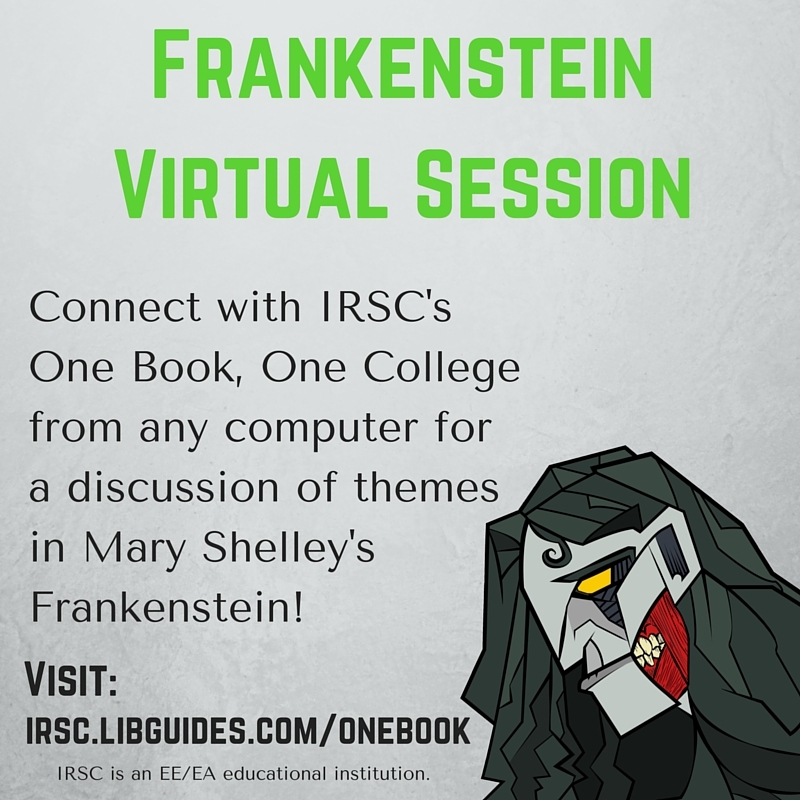 This cover, created by Christian Birkett, Bachelor of Applied Science in Digital Media, from Stuart, Florida, shows an unexpected version of the classic monster and serves as the "face" of IRSC's One Book, One College. During the fall 2015, the Library will be hosting a One Book, One College event. 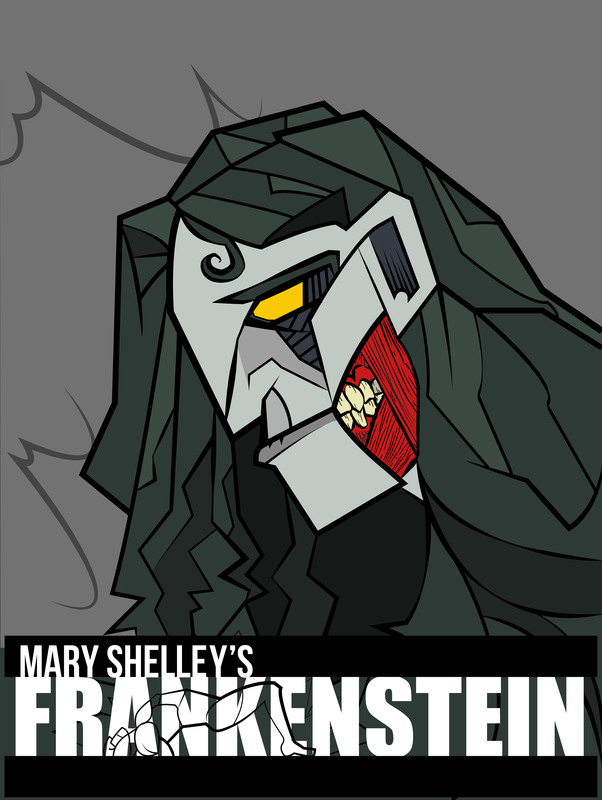 The selected title is Mary Shelley’s Frankenstein; or the Modern Prometheus. This title was selected because the novel touches upon a variety of topics, such as the Gothic novel, bioethics, the Romantic movement, science fiction, the myth of Prometheus, mob violence, physical differences, and the philosophy of Locke and Rousseau among others. We are encouraging students and employees to participate in one of more One Book, One College events. 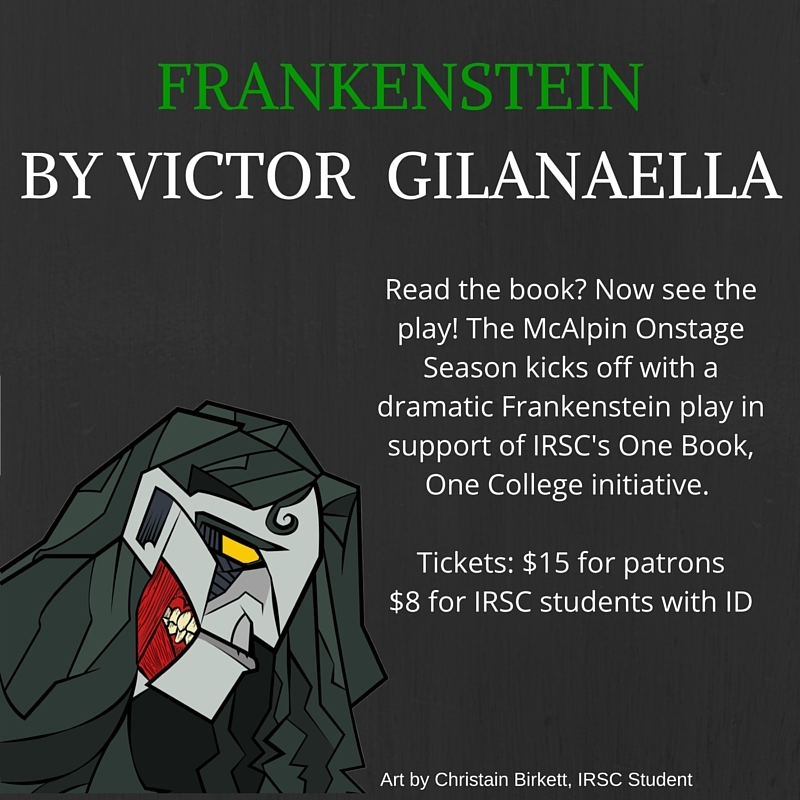 Various fun and engaging events focusing on Frankenstein will be held at all campuses during the fall semester. Dates and locations of the events will be announced College-wide. The eBook is free to download from the IRSC Libraries’ website and from Project Gutenberg. For faculty interested in offering additional points for participation in campus events, the Library personnel will track attendance for you. We are also interested in partnering with faculty wishing to embed an activity based on the novel (in whole or a selected reading) in fall curriculum. Examples of different activities, as well as more information about the project, are available on this website.